Public safety rescue diving means unexpected dives all hours of the night under all weather conditions, solo divers on tethers with top side back-up divers and tenders, potential contamination problems, high risk entanglement and entrapment environments, intense psychological stresses, black water as well as an unusual lack of diving experience on the part of the average public safety diver. Instructors who train, or plan on training, public safety divers must fully understand harnesses, multiple cutting tools, quick release pony bottles, line handling, tender and profiler protocols, underwater extrication tools, full face masks, contingency lines and much more. Instructors must also learn how to dive on the bottom in non recreational environments that are filled with potentially dangerous debris, contaminants, black water, vehicles, currents, high or low temperatures and potential avalanches. 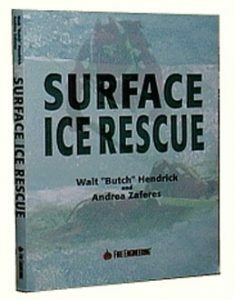 Instructors must understand the difference between rescues and recovery, and know when the job is too dangerous for the divers at hand. Teams must learn how to keep themselves liability safe, allowing them the right to say “no”, because the name of the game is when the job is done, you need to be able to go home. 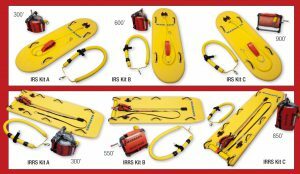 This workshop combines lectures and hands-on drills with many different pieces of professional rescue equipment. It is an intense and dynamic program. The course fee is $1000 which includes wall certificates and a $200 discount when you host a Rapid Deployment Search & Rescue three and a half day program within 1 year of this one day program. Please note: Some staff travel expenses may be added to the cost, depending on location. There is no limit to the number of students for this course. Most teams charge attendees $50 to $100 per student, so this course can raise significant funds for the hosting department, in addition to training unlimited members for free. * Does the team have a planned and practiced system of communication and procedure between the back-up diver and primary diver in a blackwater emergency situation? * Is the team using the older, less effective and less safe system of more than one diver down in low or no visibility water, or does the team put one diver down with a fully ready, tethered back-up on shore/boat? * Does the team have 90% ready back-up divers ready to take the position of a back-up diver who for whatever reason can not make it down to a primary diver in need? * Does it usually take the team more than 30 minutes total operation time to find a small object, such as a carabiner (a witness is available)? * Can team members be full dressed, checked out and ready to dive in under three minutes? 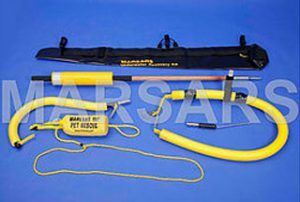 * Have all divers practiced cutting rope, wire, fishing line, etc.. underwater to prepare for entanglements situation? 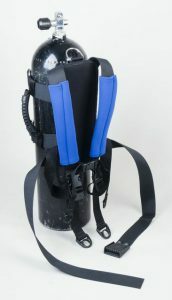 * Are all divers wearing pony bottles with quick release harnesses and second stages secured in the chest region? 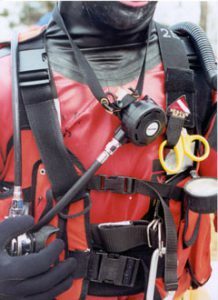 * Are all divers carrying a minimum of three cutting tools (1 knife and two shears or wire cutters, or two knives and one shear) in the chest region – not on a leg? * Do all team members know how to profile a site with witness information and how to profile the diver’s exact movements underwater? * Are team members trained and practiced how to handle drowning victims from the time they are found underwater until they are in the ambulance? * Are team members trained in witness interviewing, information recording and trifexing? * Can divers continuously keep a tight line with a good pattern as directed by the tender? * Is EMS always present during training and actual dive calls? * Does EMS take and record the blood pressure of each diver before and after each diver? * Has EMS been trained in dive accident recognition and pre-hospital care? * Were you as a diver given a diving physical examination by your department before joining the team? * Are you required to have annual or regular diving physical examinations to remain a member of the team? * What do you feel is the most difficult part of your job on the dive team? Lifeguard Systems presents one-day and two-day seminars on other topics such as cold water drowning, setting up a dive team, introduction to Rapid Deployment Search and Rescue, Drysuit Rapid Dressing, Drownproofing with Turnout Gear, How to Handle a Dive Accident (for EMS and divers), and many other customized programs.